One of my favorite ocean creatures. I wonder if he can breathe fire underwater? What an incredible creature, good capture. isn't it the most intriguing creature. 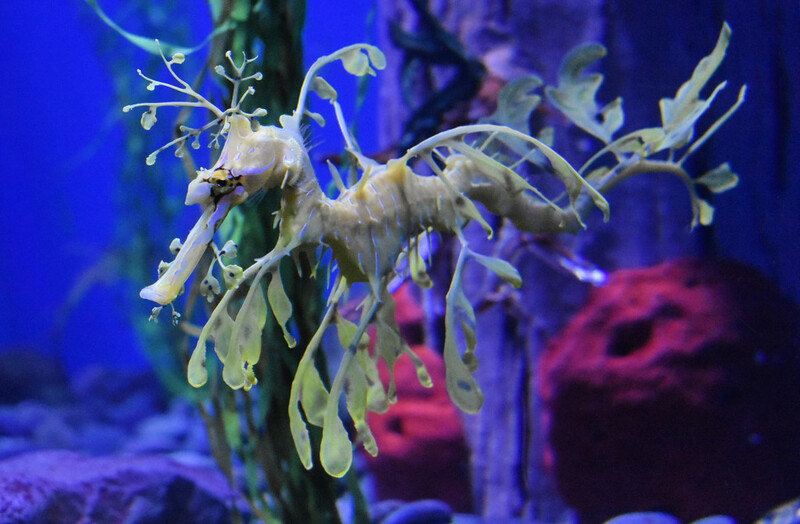 Sea dragons are so wonderful, this one is lovely. Wonderful creature. I'm sure he/she can try to breathe fire, but with little success! I've never seen one of these, even in a book. It reminds me of a children's book illustration of magical times. this is an anima!? love the color and detail! @grammyn It's like a seahorse, but has amazing camouflage to look like leaves! Incredible! I love it- but it gives me Octonauts flashbacks! Wow. Great capture of this dragon! He's an amazing creature. His camouflage is working because at first sight I thought it was a plant. They are amazing little things, I love watching them.